1.17 Diplomatic orders bug. Help? 1.21 Imagine .......just starting out! It's long past time to promote some experienced officers to the administrative team. 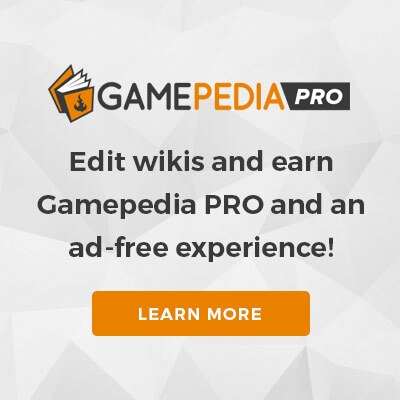 I'm aiming to promote at least three experienced STOWiki editors to the position, and I've started by nominating Damixon, SFC3, and PiralDorrm. If they choose to accept the nomination, editors may vote on the RfA pages linked below to show support or oppose their promotions as per STOWiki policy. Please note that voting isn't open for a nominee until his or her RfA page is marked as "active." Once active, it will also show instructions for making your vote. As you probably noticed, there have been issues on this wiki related to the aws migration. It has been happening across all wikis, and those are all known issues: pages taking +10 seconds to load, internal server error 500, 520, various cache issues - template still loading previous version after change was made, newly uploaded images sometimes load, sometimes don't, search errors or search auto-complete doesn't work, lock errors when uploading images. I found an official response at gamepedia.slack by Alianin, one of the gamepedia wiki managers: "...We are actively fixing it. We've moved a 5 year old platform to a brand new host and all those configurations had to be recreated. We test and tweak as much as we can but sometimes there's still more tweaking to do until it's finally happy. Things will fully stabilize eventually but we'll have these blips until we get there. It'll happen sooner rather than later since the migration is fully done and we can now focus on the optimizations." have any of you seen in a croud of people,people wareing startrek like uniforms? some of us have they point to the sky and then teleport up. we think it is a invetation to join them. The TDE that is the true federation of planets has sent out this invitation. All who wish to leve earth are invited to eather join a fleet crew or to live in peace on a colony planet in one of the distrectes without fear or war. TDE stands for TRANS DIMENTIONAL EMPIRE. there fleet of war ships will come to resque the Emperors son who is hidden on earth. The knowlage you have of startrek tec is close to TDE tec but instead of a worp core and worp drive they use trasn dimentional crystles in the trans dimentional drive that tears space time to be everyware and no ware at once. allowing travel and protection. he requires to know how many will need a ride ? Before the ships arive the one that is here is cloked and it is TDE5055. defender class. The future of the earth dose not have to be yours. This is an awkward time for trying to pull from the wiki. Currently, you might be able to somehow wire up a Semantic MediaWiki query somehow. (I'm not sure because I'm not entirely clear on what you're doing.) That would work for duty officers, ships, and traits, I believe, but I don't think anything else is set up through that. And the timing is awkward because there are still plans to switch all that to Cargo and uninstall Semantic MediaWiki here, so anything set up that way would have to be rewritten at some point. And that's the only data available in the kind of structured format you're probably thinking of for a DB of this kind. I've gone to the plateau of contemplation and it says i need to talk with the aide T'Pela, which I've done (She only says welcome), but the mission doesn't progress. I can talk to the ambassador but nothing happens and i can't talk to high priest Savin. I've tried logging out, restarting the mission and restarting the game entirely but it doesn't change anything. Plz help. esolved an issue that prevented Vulcan characters from being able to proceed in "Diplomatic Orders" when speaking with Vulcan aide T'Pela. Hi all, I am requesting any information/ pictures/ blueprints/ schematics/scribbles-on-a-napkin of the main bridge onboard the USS ENTERPRISE, NCC-1701-F (Odyssey Class). I've searched like mad, but I can't find anything showing the bridge's scale, dimensions, layout, etc. If some artistic soul has created an ENTERPRISE-F multi-level bridge layout, even without a scale, I would love to see it. I guess need to create something. Not sure what, a cgi drawing of my own, a diorama, something. I guess I'm feeling a Richard Dreyfuss kind of pull, or deep desire of having to create a physical model in my living room a la Close Encounters of the Third Kind! And I'm not smart enough to figure out the dimensions without blueprints. I guess this request will fly in the face of the copyright issues I totally support and champion. Just asking for a taste if possible. If nothing can be shared, I'm cool with it and understand. Just had to ask. I started out ,again (tried the game about 4 years ago or so)2 weeks ago, and I am a rear-admiral upper already. What I am finding hard to grasp is really what I should be doing on a daily basis. I have joined a Fleet, but have to say that communication is 'sparce', though they are vey helpful when prompted. I have got to a part of the game where I am not strong enough to complete the current missions that I have in my log, but dont seem to be able to get much stronger just doing a bit of PvP daily. Please could somebody help me with a comprehensive list of 'Things to do' so I can proceed further. Last modified: 5 March 2019 at 03:19.